Norma double bed is available with a bed frame padded or in polished beech wood in different shades. 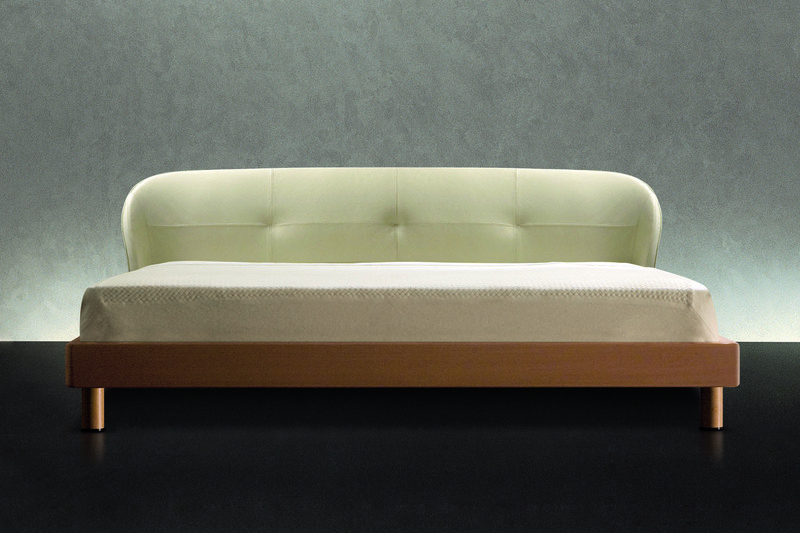 The headboard frame has a steel reinforcement and is cold foam flexible polyurethane covered with polyester fibre. The bed frame is available in super-light plywood covered with polyester fibre, for the padded version, and in solid plywood and beech veneered, for the wood version. The corner reinforcements and the central crossbar are in black painted metal and the height of the lateral supports is adjustable. The feet are in natural polished solid beech wood with tip in black PVC. The upholstery, completely removable, is available with the headboard in the following versions: leather, fabric or fabric/leather external part and leather internal part.